Welcome to the June Tolliver House! 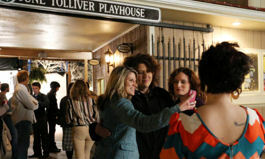 The June Tolliver Playhouse is located in the Jerome Street Historic District of Big Stone Gap, Virginia. It seats approximately 335 people in a beautiful outdoor setting. 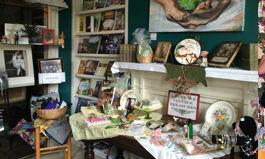 Offering a large variety of arts and crafts, many from local artisans, our Gift Shop provides a unique browsing experience throughout the year. From books to pottery, you'll find it all here. 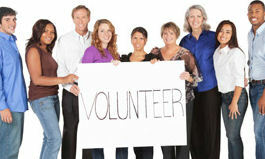 Volunteers are the heart of our organization and their support plays a major role in our organization's success. From gift shop hosts to docent tours, we rely on volunteer expertise.